Since 1984 the Foundation has provided funds and reserves to assist CMC in its quest to enhance and expand its services to Valley County residents and visitors. Each year, a fundraising campaign is initiated based on the approved capital expansion plans for the coming year. That campaign includes an appeal to all Hospital District residents and property owners in early summer and a golf tournament in late summer. In 2013, the Foundation was instrumental in providing financial support for the purchase of the Healthland Electronic Medical Record System (EMR). This system was installed in the spring of 2014 allowing the medical center full digital reporting to meet the Meaningful Use requirements for the Affordable Care Act. This EMR positions Cascade Medical Center to meet today’s health care “Triple Aim”, (improving population health, enhancing the health care experience and reducing per capita cost of care). Cascade Medical Center Foundation, Inc.
We provide dependable, trustworthy care. We strive for an environment of continuously improving quality of care. We manage our time, talent, and financial resources responsibly. $900 in cash prizes and LOTS of giveaways! It looks like the lake will be ready ARE you? Bring the kids and have a GREAT time!! 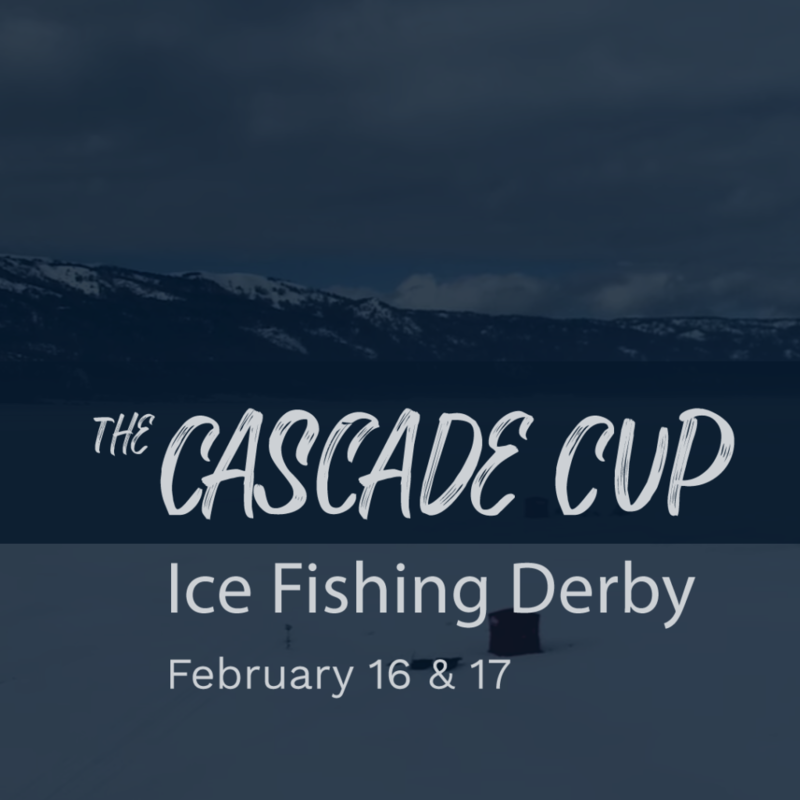 The Cascade Cup Ice Fishing Derby is coming soon! Mark your calendars for February 16 and 17 Terrific ice guaranteed this year! We start signing folks up a week in advance at Tackle Tom’s in Cascade. Saturday is last day to register by Saturday. 3 largest perch (combined weight). First place winners will have their names inscribed on the Cascade Cup trophy. 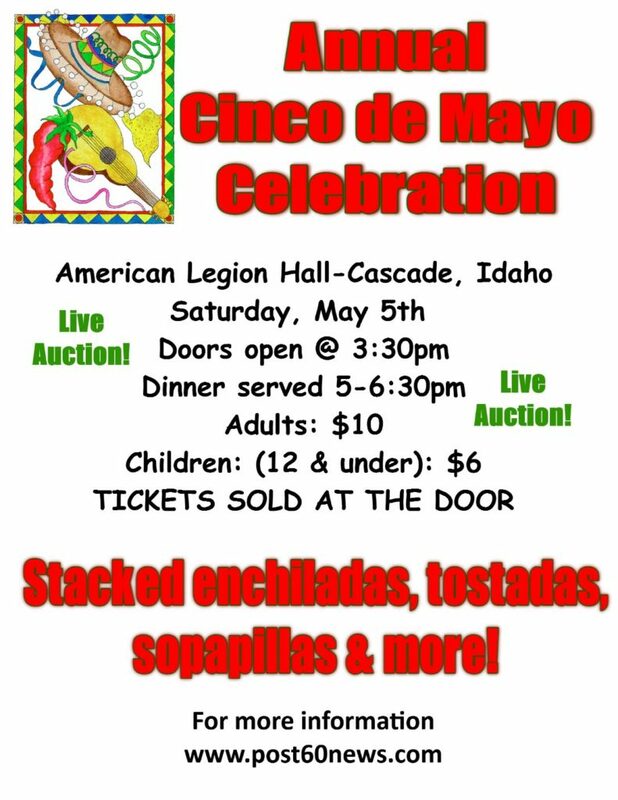 The Annual Cinco De Mayo Celebration will be hosted at the American Legion Hall in Cascade on Saturday, May 5th. Doors open at 3:30 and dinner will be served between 5 and 6:30 pm. A live auction will take place at the event. Proceeds will be used to help the American Legion pave their parking lot. The entry fee for adults is $10 and Children (12 and under) can get in for $6. Tickets will be sold at the door. The dinner menu includes stacked enchildas, tostadas, sopapillas, and more! 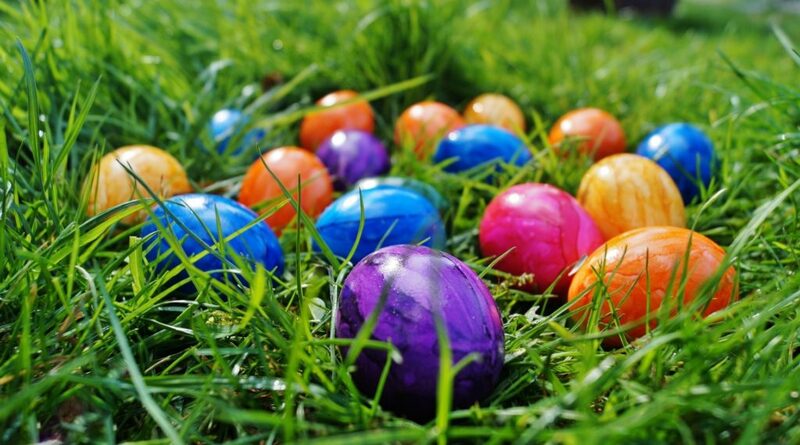 Come join Cascade for the Annual Easter Egg Hunt! The hunt is on Saturday, March 31st at Armstrong Park. The hunt will start promptly at 11 a.m. with games, crafts, and face painting running until 1 pm. Have you ever wanted to learn how to cross-country ski or snowshoe? Come join Lake Cascade State Park and community partners for a fun filled day at Lake Cascade State Park – Van Wyck Campground and Day Use Unit on January 6th, 2018 from 11 am to 2 pm. There will be snowshoes and Nordic ski gear available to demo and beginner lessons. Free food, drinks, and snacks provided. 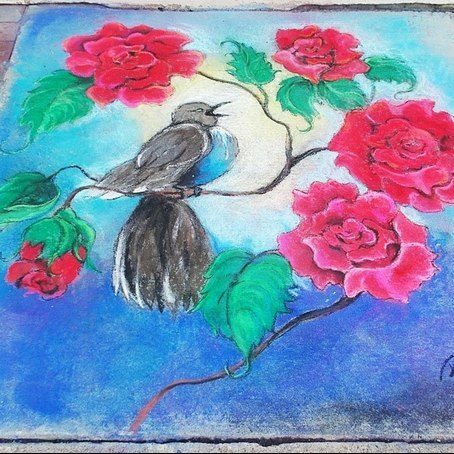 Sign up for a free drawing for awesome recreational activities. Directions: Turn west on Lake Cascade Parkway and travel approximately 1.5 miles to the Van Wyck Boat Parking Area. The $5 motor vehicle entrance fee is waived for all participants. Community sponsors include Tamarack Resort, Lake Cascade State Park, Cascade Nordic Club, Horizons’ Lifestyle and Education Team, and the Southern Valley County Recreation District. 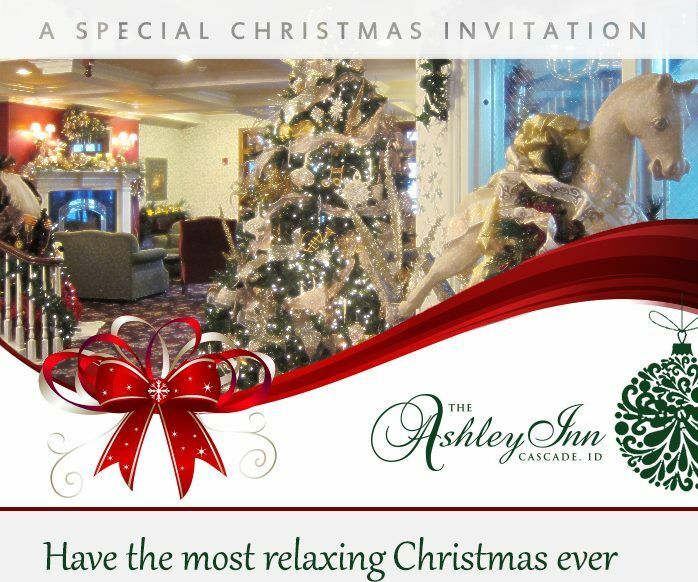 At 6:30, Ashley Inn serves a Christmas Eve light dinner to our guests complimentary. After the dinner, guests gather to sing a few Christmas Carols and then end the evening with warm gingerbread and vanilla ice cream. Marion and her family share their music ability with us. We love this night. Then wake up to a very special Christmas breakfast. 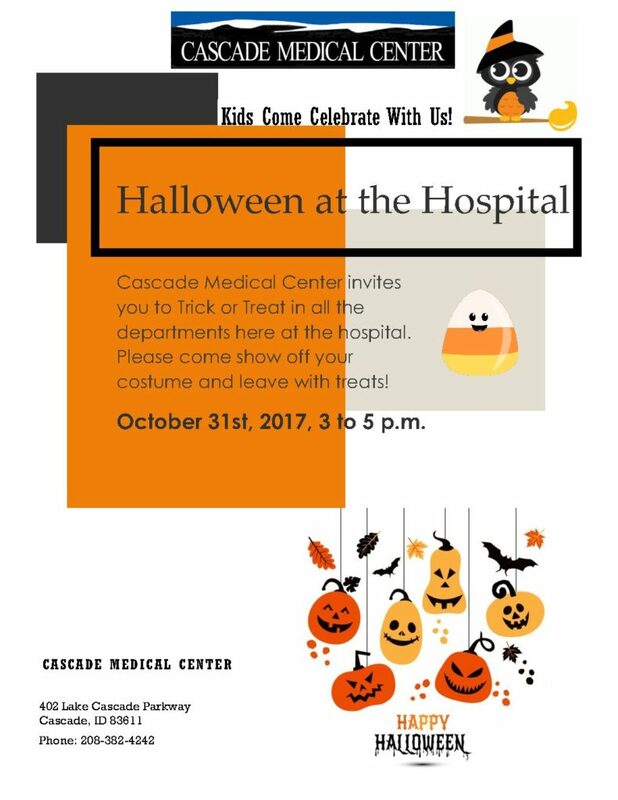 Cascade Medical Center invites you to Trick or Treat in all the departments here at the hospital on October 31st from 3 to 5 PM. Please come show off your costume and leave with treats! 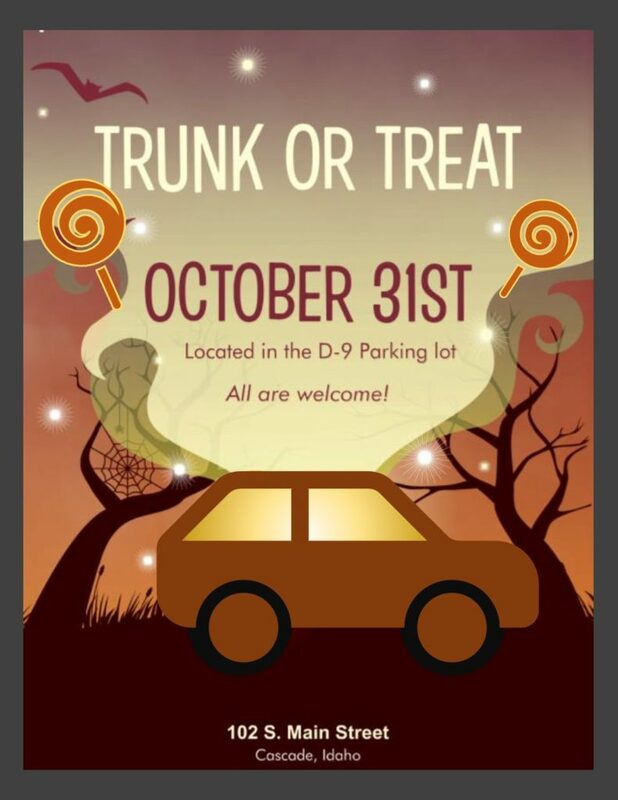 The annual Trunk or Treat will take place in the D-9 parking lot. All are welcome to join!